It's been a while since my last fashion post, and to be completely honest...I just got a bit lazy. But I finally felt like making another fashion post, so here I have my first AW fashion post. 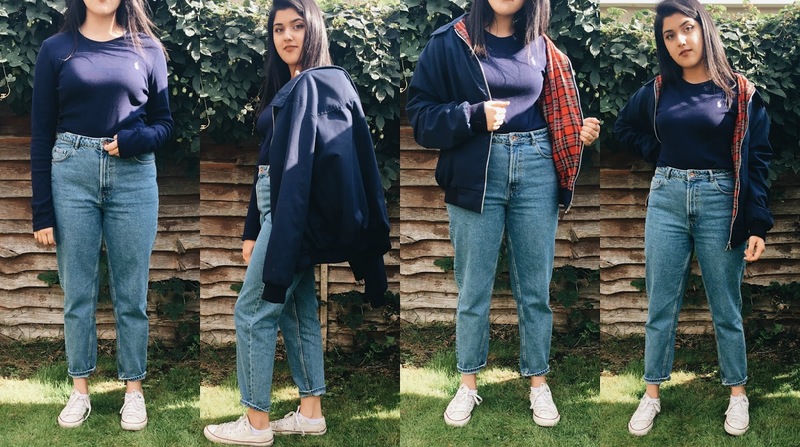 Todays post is all about some staple pieces that would be handy in the early autumn weather. Transitioning from warm weather to a slightly cooler weather can get a bit confusing in terms of fashion (at least for me!). You don't really want to wear the same summer clothes, but it's not THAT cold to start wearing thick jumpers and coats. 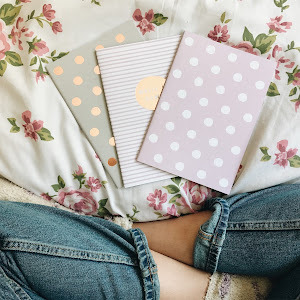 Since term time is approaching and we're all getting ready to go back to school/uni, I thought I'd make a post showing some staple pieces that would be useful during autumn. Now lets be real...once uni starts we begin to forget about all those fashionable and trendy outfits that we rocked during the summer. We tend to go for the easy and simple outfits that you can throw on for lectures or for a day out. 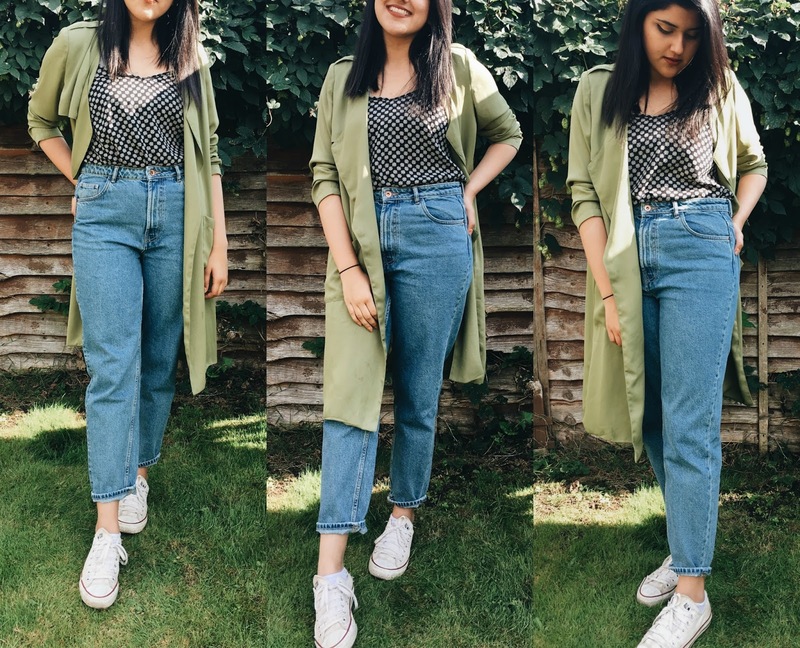 So here are some outfits that I put together that I can see myself wearing more in the coming month, and also that anyone can wear! For this outfit I chose to wear a thin jersey/knit (something in between) top. I love this top because it's a mustard colour, which I LOOVE (especially during autumn!). Also, I'm personally someone who doesn't like to wear sleeveless tops, so the length of the sleeves on this top is PERFECT. I don't have to bother keeping a jacket or anything on all the time! 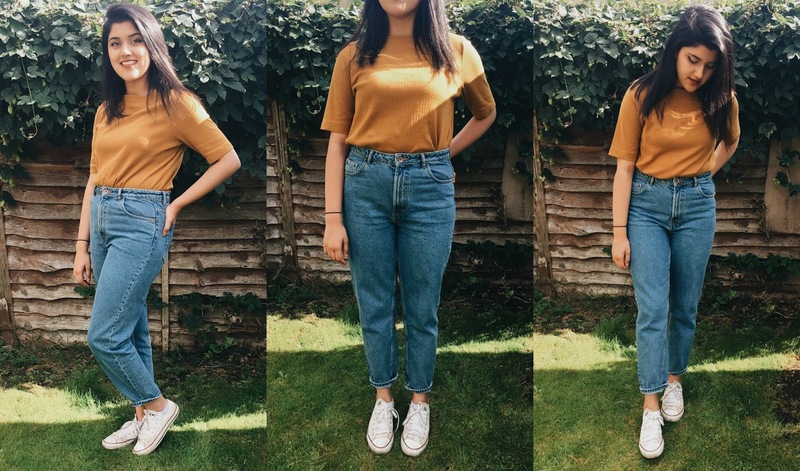 I wore some classic mom jeans, which I think is a staple piece!! 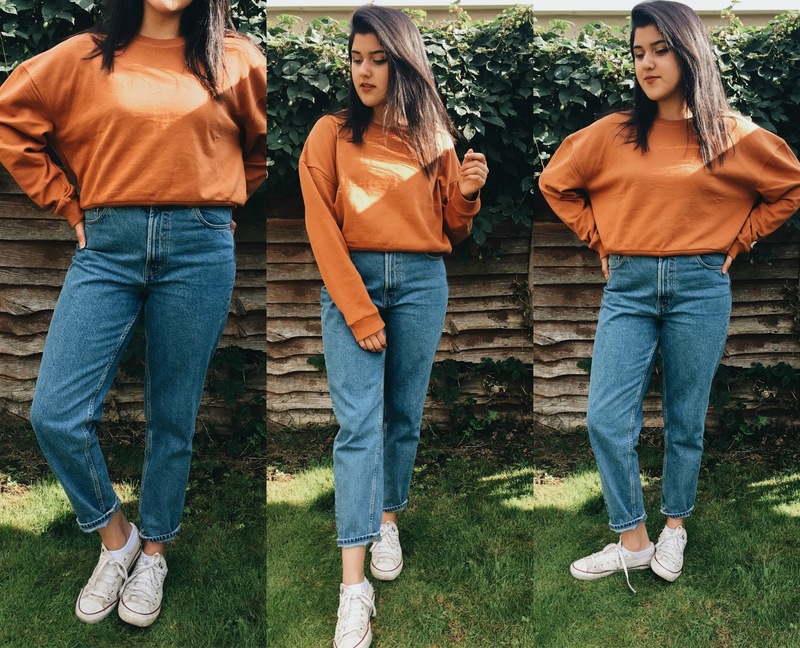 I know they can be worn all year round, but a good pair of mom jeans during the autumn can keep you warm from the cooler breeze! They're effortless and can be matched with pretty much anything, so if you haven't yet, consider buying some good mom jeans! Here I've paired a navy knit top with the same mom jeans. It's time to bring out those full sleeves and keep warm from the cool breeze. If you're from London, you'd know the transition from summer to autumn isn't slow! So protect yourself from the cold with a knitted top. It's not too cold to wear your thick jumpers, any thin knitted jumper/top will do! To layer it up, I wore my navy harrington jacket. The checkered print really helps to bring in some colour to the outfit! Red seems to be a major trend, so the harrington is perfect to keep the outfit lively! The next outfit is something that can be worn casually as well as for an occasion that you have to dress up more! Here I've kept it slightly casual, however I would totally wear this out to an event by just adding some accessories, and different shoes obviously. The trousers are SO versatile, and that's why it's a staple piece. 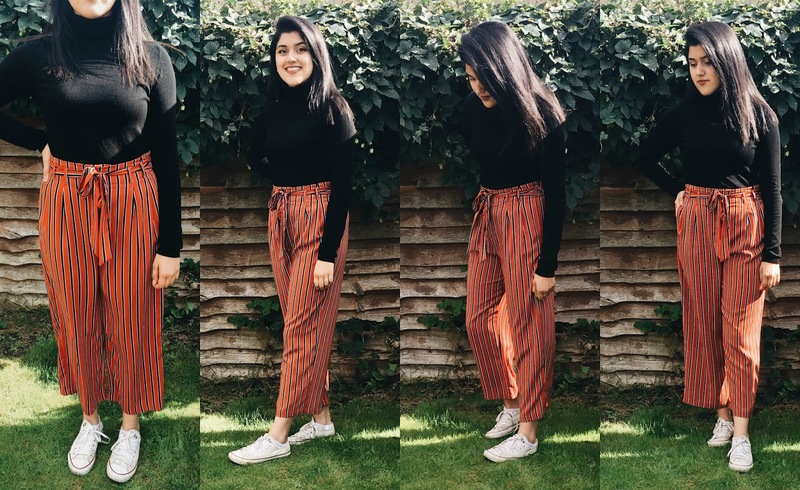 The burnt orange colour is my favourite, and that's why it's so great for autumn! Totally goes with the colour scheme we associate autumn with! 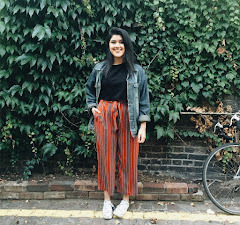 Striped trousers are also so in trend, that you don't even have to worry about looking unfashionable at uni! They're so comfy and can be worn anywhere! Here I've worn an oversized cropped sweatshirt. I'm all for bat-winged sleeves - they personally really suit my body type. I love anything oversized! This sweatshirt is not very thick, still on the thinner side which is perfect for early autumn days! It's comfy and easy to style! 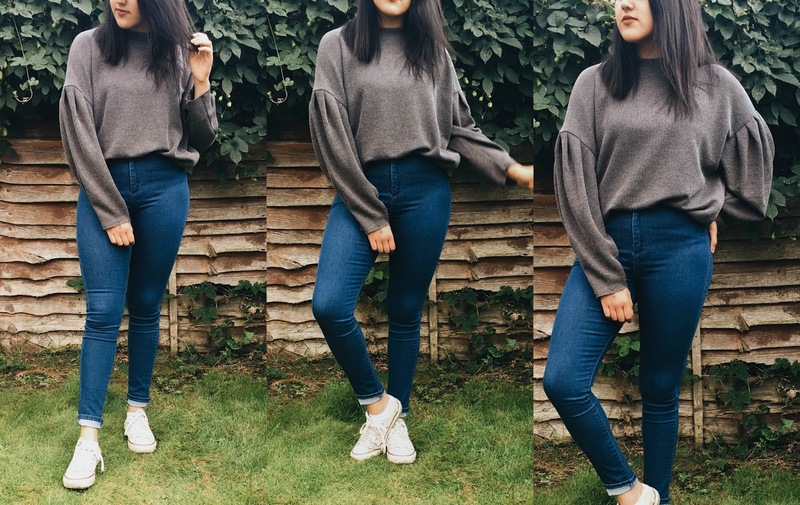 Definitely a staple piece for autumn - get yourself a few oversized (or fitted) sweatshirts that can be easily matched with jeans! A very quick outfit to throw on before early morning lectures (ugh). This sweatshirt is a rusty brown colour - again very autumnal! This is a slightly more going out kind of outfit, where you still want to be comfy and casual, but with a hint of 'going out'. 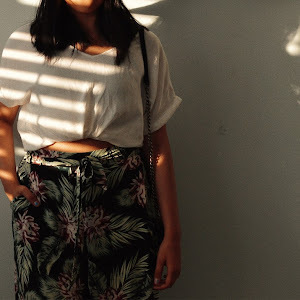 Here I've paired an ethnic style chiffon top, tucked into some mom jeans (so versatile!). I topped it off with a long khaki duster jacket - keeping a bit of the breeze away. It's not extremely cold during autumn, so a thin jacket like this is perfect - can be worn during the day and night! I thought I'd step away from the mom jeans (although it was very hard to) and wore some high waisted skinny jeans! I paired them with this balloon sleeved jumper...which I am LOVING and can't wait to wear more! The jumper is again on the thinner side, but still warm enough! Some skinny jeans are a staple item during uni as well as during the colder days! You want something to keep you warm, so it's time to sway away from the ripped jeans! I really hope you liked this post! I want my posts to be relatable and something everyone (at least most of you) can wear! As much as I love wearing very fashionable and trendy outfits, I feel like it's not something everyone would relate to! I read many blogs where people showcase all kinds of funky outfits that would probably only suit their body type and it's not relatable at all! I know it's personal style, but I find very little fashion blogs that I can take inspiration from! - rant over. Anyways, I hope you liked the post & I'll be back with a photography post very soon! !